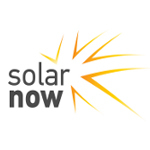 SolarNow, a Netherlands-based social enterprise operating in Uganda, was launched in 2011 to answer the pressing demand for affordable high quality solar home systems among 4 million off-grid households and entrepreneurs in Uganda and eventually in other countries. And since its inception, SolarNow has reached 20,000 people through the sale of over 2,700 systems in Uganda. As of September 2013, SolarNow is operating 35 shops in Uganda selling solar energy products with a credit facility. Renewable energy solar home systems are now being used by 20,000 people in with the aim to reach 200,000 by 2015. SolarNow is providing solar panels that will cut down on energy costs as well as carbon dioxide emissions by an estimated 5,000 tonnes per annum. It will also create additional income opportunities for households who can rent out electricity to the surrounding neighbourhood for various purposes. To reach the millions of rural customers with limited financial resources, substantial price reductions will be needed. In order to reduce the price, SolarNow is continually streamlining its importation import process, which lowers costs.